Abhijit, Author at Ghumakkar - Inspiring travel experiences. Abhijit Mukhopadhyay was born in Patna and brought up in Kolkata. He is a Fellow member of the Institute of Chartered Accountants of India and got a post graduate degree in Commerce and a diploma in Management. He is passionate about travelling and travelled across the length and breadth of India and other countries in Asia, Africa, Europe and Latin America for professional and as well as personal reasons. Primarily he writes in his native language in Bengali but time to time has also contributed to Ghumakkar. Mr. Mukhopadhyay is presently a resident of Noida in Delhi-NCR. The return journeys, as always, make the heart heavy. This time my heart did put on a lot of weight. We decided to leave for Bangalore via a detour of ‘Talacauvery’. So we started very early on the next morning. Talacauvery, the source of the river Cauvery in the south was draped in a mystical legend. The Aravallis cut across Jaipur and Sekhawati regions in North Rajasthan. The climatic conditions in the region are very harsh and extreme, ranging from sub-zero Celsius in winter to more than 50°C in summer. People of this region are known for their bravery and hard work and it is a fertile breeding ground for Jawans in Indian Army! Two districts of modern day Rajasthan, i.e. Jhunjhunu and Sikar can administratively be considered as the constituents of “Sekhawati” region. 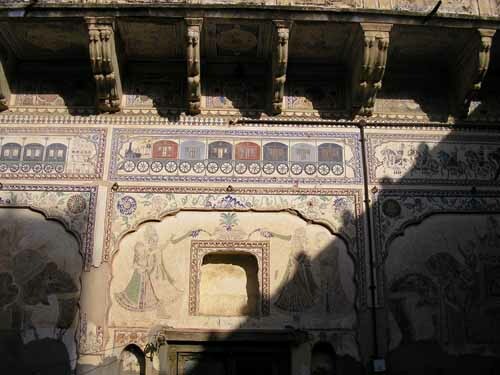 However the Churu district is equally important as the Sekhawati dialect is also spoken here and famous painted Havelis and Forts are omnipresent in all these three districts. The Haveli was to Banias, what the Fort was to Rajputs, an abode. Orchha is breathtakingly beautiful. Regal on appearance and serene in ambiance. Apart from Jehangir Mahal, the Raja Mahal, Rani Ki Mahal, Rai Praveen Mahal and Sheesh Mahal adorn the dusty hill tops of Orchha. 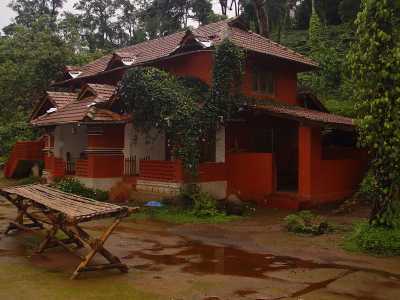 The last named has been converted into a heritage hotel by M.P. tourism with limited accommodation and unlimited scope for improvement in maintenance. There is an interesting anecdote about the Rai Praveen Mahal. Rai Praveen was a courtesan and an accomplished poetess in the Orchha kingdom. 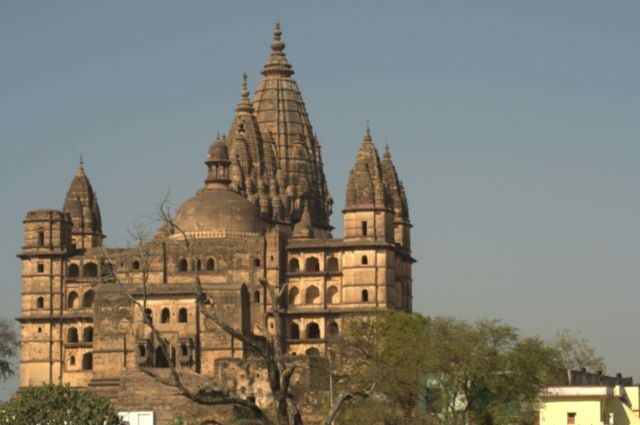 For her legendary beauty, she was once sent to the “Harem” of Emperor Akbar against her wishes, as she was deeply in love with Raja Indramani of Orchha. On a face to face meeting with the great Emperor in the Mughal court, she recited one of her poem telling that only “a crow and a dog eat off the used plate of another”. Akbar was too smart and generous to understand the subtle hint and immediately ordered Rai Praveen’s return to Orchha in full honour. All other palaces have their attendant history as well.